٥ Syrian child Khaled al-Ghorani lies at a clinic after he had his hand amputated in Kafar Batna in the Syrian rebel enclave of Eastern Ghouta, following reported air strikes by Syrian government forces. 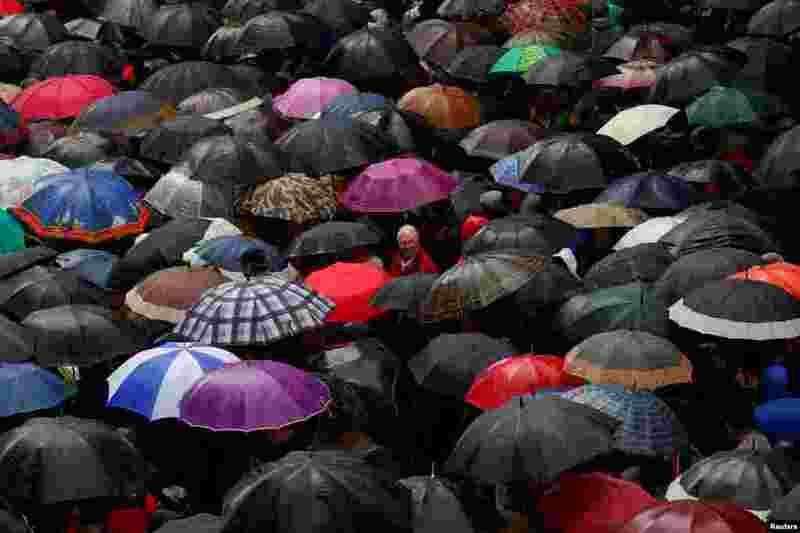 ٦ People take part in a pensioners protest in favour of higher state pensions in Madrid, Spain. 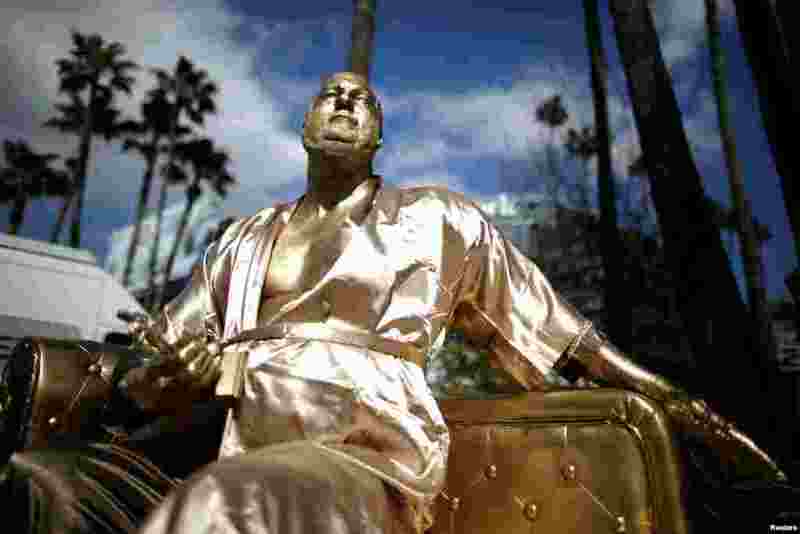 ٧ A statue of Harvey Weinstein on a casting couch made by artist Plastic Jesus is seen on Hollywood Boulevard near the Dolby Theatre during preparations for the Oscars in Hollywood, Los Angeles, California. ٨ A farmer plows a paddy field to plant rice seedlings in Naypyitaw, Myanmar. 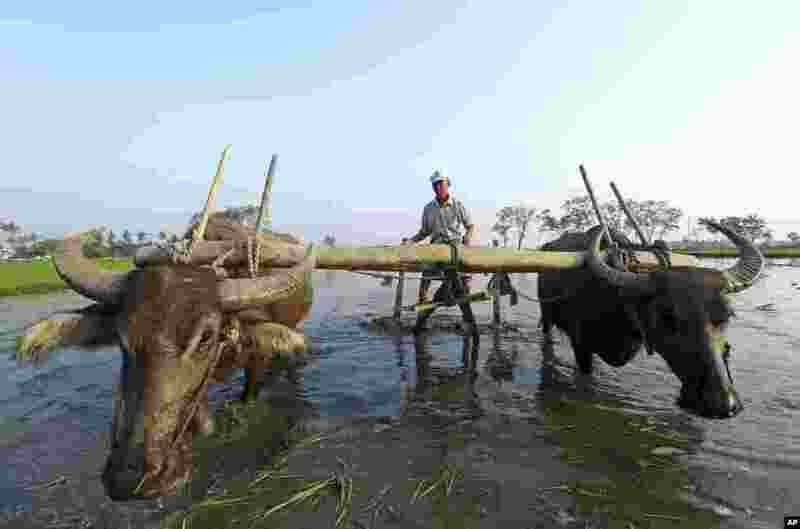 Myanmar celebrates the national holiday Peasants' Day annually, on March 2, to show the country's appreciation to its laborers.